The Legal Landscape in the UK is changing...fast! 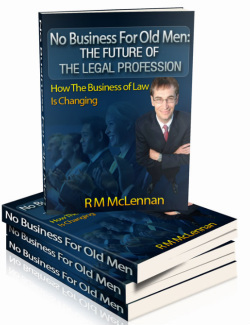 As legions of older, mostly male, lawyers enter the Autumn of their years, a younger, hungrier, generation are taking up their places. This new generation are not interested in "tradition" but rather on innovation and lifestyle. No Business for Old Men! Are you a solicitor, trainee or law student? - If so, read our manifesto and become a legal rebel!